History: One day in 1885 while once again engaging in the laborious task of drawing water from a deep well, young Allen County native Sylvanus F. Bowser conceived the idea for a new type of pump that would eventually become the automobile fuel pump. 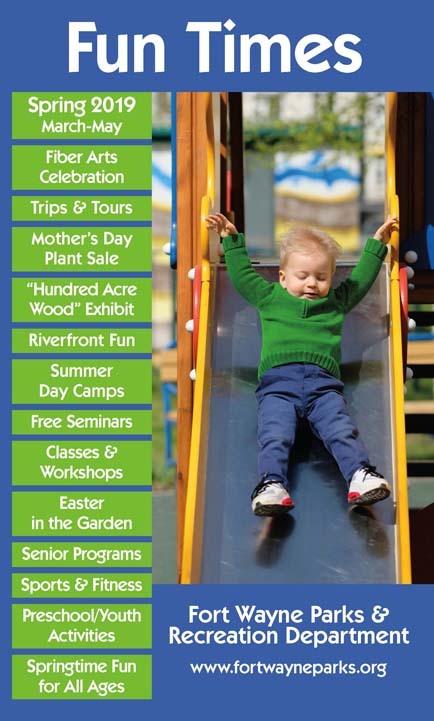 So successful was his design that he was able to form the S.F. Bowser Company only three years later. 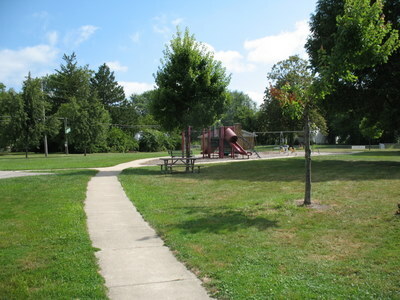 In 1923, Bowser, now a successful industrialist, inventor, and philanthropist, along with his wife Sarah, donated nearly an acre of land that had been beautified at their own expense on the condition that it remain a place of relaxation and enjoyment for the city's residents and their children. 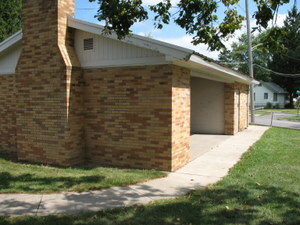 Bowser Park features an open air shelter with restrooms that is available on a first come/first served basis. 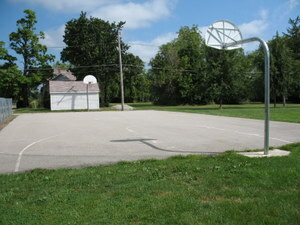 There is a basketball court available for use along the edge of the park. 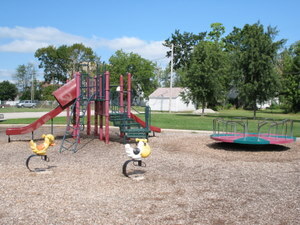 Children can enjoy a playset with slides, a merry-go-round and a swing set.